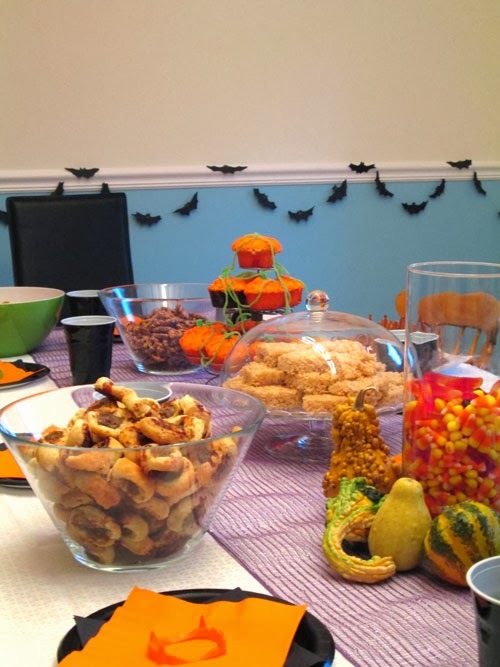 Ok … I have no desire for this to become a cooking blog but Chicago teen was so creative with food at her Halloween party (check out recipes here and here) it would be a shame to to share her foodie delights. 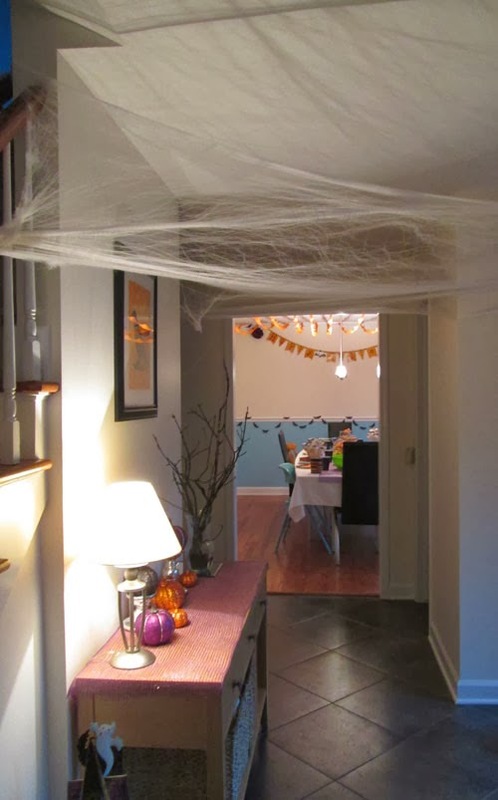 These witches broomsticks are so simple to make. 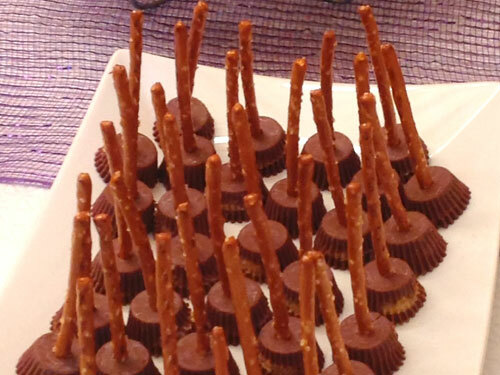 Unwrap each Reese’s cup and plonk a pretzel stick in the end! Melt the chocolate chips in a bowl set above simmering water on the stove. 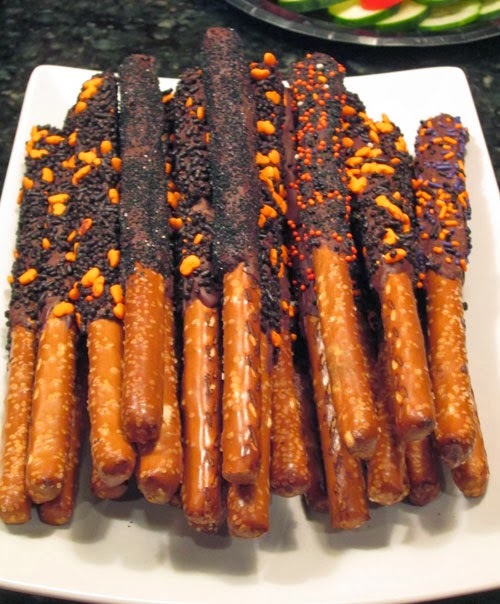 Spoon melted chocolate over half of a pretzel rod and immediately coat with sprinkles. Cream together butter and sugar then beats in aggs and food coloring. Add all other ingredients. 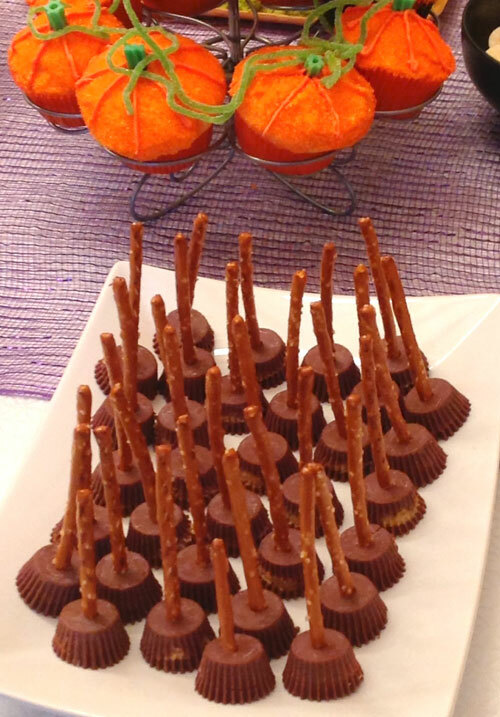 Roll out and with a pumpkin cookie cutter cut three shapes for each cookie. Remove the center of one of the cookies using a small round cookie cutter. To assemble the cookie you will need two whole cookies and one with a cutout. 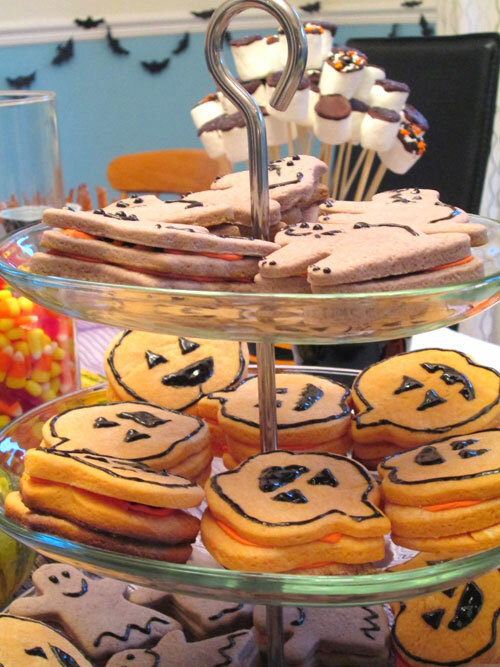 Spread a thin layer of frosting on the top side of the first cookie, top with the cutout cookie. Put m and m’s into the cutout. Frost the underside of the last cookie and add to the stack. Pipe a pumpkin face and you are done! 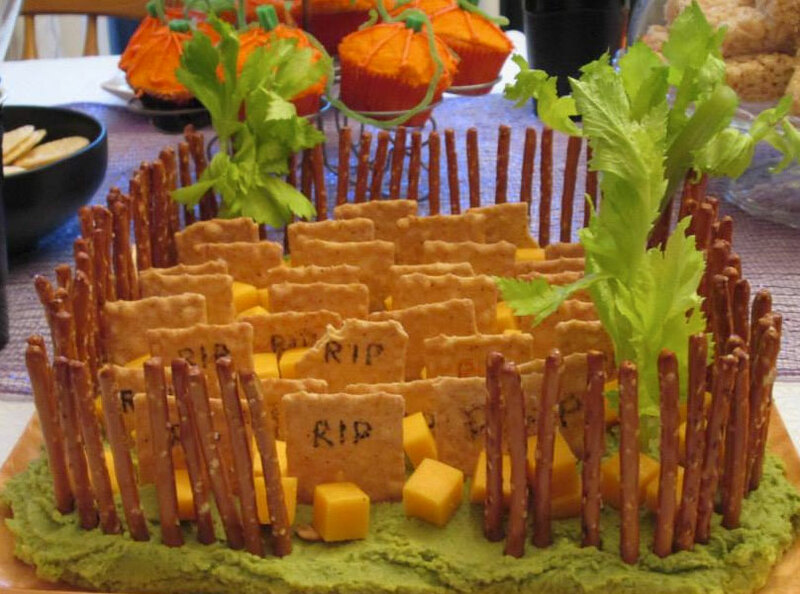 This entry was posted in Celebrate in Style, Food, Halloween, Teenager. Bookmark the permalink.